Intel Dual-core processor, expandable RAM and Flash, multiple USB ports, works in up to 50 degree Celsius temperature and a 3-year warranty. Do you need more? Powered by an Intel Celeron dual core processor, 2GB RAM (Expandable up to 8 GB) and 16GB SATA Flash (expandable), Impression 2500+ works just like a modern-day PC at a fraction of the cost. 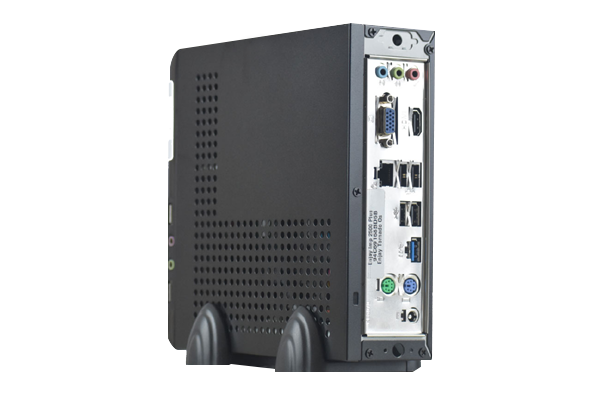 This next-generation thin client comes with a mounting bracket to stand on your desk while leaving zero footprint or to be mounted on a wall. It comes with up to 7 USB ports, a 5.1 Audio channel and 1 VGA port. (Of course, you can decide how much access you want to give users.) Additional options can be customized according to your needs. Impression 2500+ consumes only 16 Watts of Power and functions on various protocols like RDP, ICA, VNC, VDI, and more. It comes with a three-year repair and replacement warranty from Enjay IT Solutions and is the product which our customers trust the most. Upto 7 USB ports, 1 VGA port. HDMI port is optional. 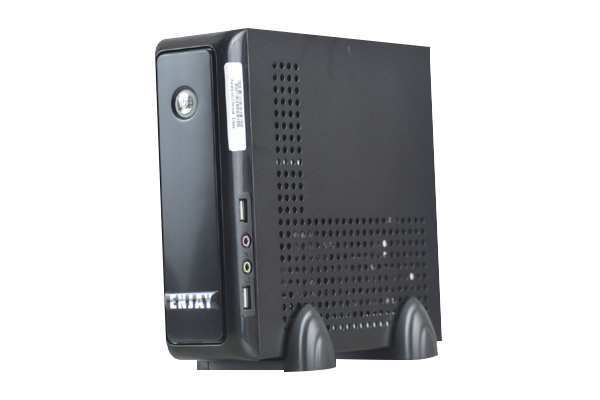 Our most popular and trusted Thin Client.